The COSRX Advanced Snail 96 Mucin Power Essence is a powerful essence which contains 96% Snail Mucin to replenish and revitalise your skin, keeping it smooth and healthy. Snail Mucin repairs damaged skin and improves skin elasticity. Suited for all skin types. Well suited for dry or acne prone skin. If you purchase this product you will earn 26 Points! This essence has a slightly viscous texture. Using Snail Mucin, it works to improve skin elasticity, replenish moisture in your skin and accelerate the healing process of acne. Snail Mucin will also effectively repair skin damaged by acne scars. 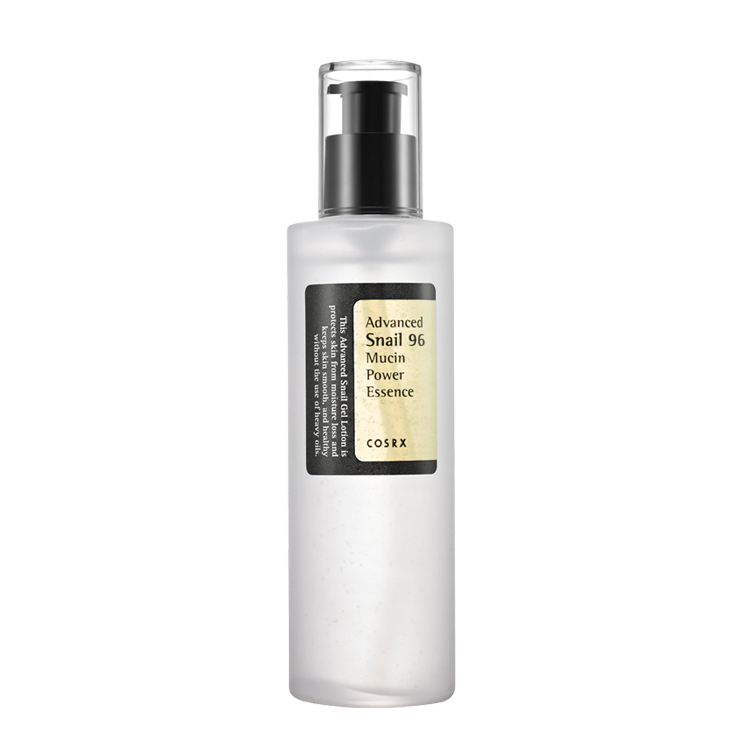 COSRX Advanced Snail 96 Mucin Power Essence is one of our best sellers, in addition to being a best selling Korean skin care product worldwide! 96% Snail Mucin – a safe, natural ingredient derived in an animal cruelty free way. Snail Mucin contains proteins, elastins, antioxidants and natural glycolic acids, making it a powerful anti-ageing ingredient suited for all skin types. LFI Tip: In the Korean skin care routine, essence is an essential daily step. Essence has a texture only slightly thicker than water and toner. It should be applied after toner and before serum, and can be used morning and night. See our entire COSRX range here. After cleansing and toner, apply a small amount on your entire face. Gently pat in the essence to aid absorption and then follow with your serum and/or moisturiser.